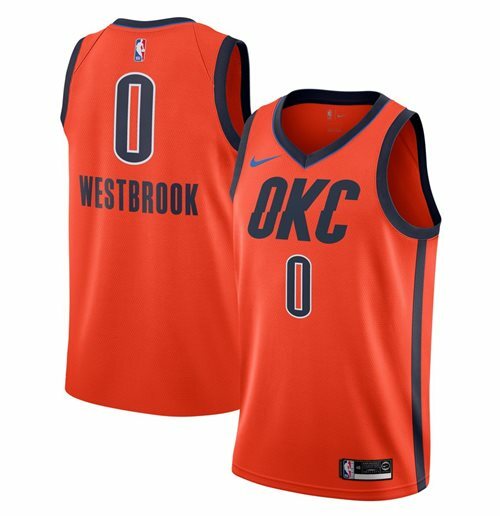 You're sure to look like this Oklahoma City Thunder Swingman Jersey from Nike. Its unmistakable colors and player’s graphics will make your enthusiasm for Basketball evident to everyone around. This jersey is the perfect way to stay comfortable while you encourage your favorite team on to successful season. Double-knit mesh is lightweight yet durable, and is designed to help keep you cool. Dri-FIT® Technology wicks sweat away from your skin to help you stay dry and comfortable.